Container Delivery | Mason Containers LTD.
the delivery. Extra time will be charged out at the standard hourly rate. Make sure the site is clear of trees, power, telephone lines and building eaves etc. your property must be wide enough for trucks to make any corners. As above, to be clear of trees, powerlines etc. Make sure the site is level, or have blocks ready to place under the corners of the container. stabiliser legs extending 1.5m from the truck on each side. further from the truck (up to approx 8m.) They also handle loaded containers. They will be happy to provide a quotation if necessary. out rate for this is refundable on the purchase of a container. If we are unable to deliver, subsequent return visits will be charger at apporpriate rates. 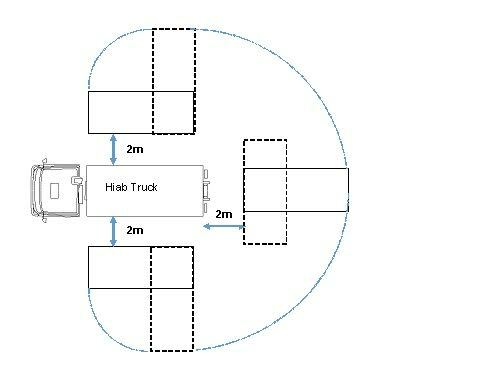 Hiab delivery and pickup is $150/h incl GST with our own hiab. If a bigger size crane is needed to lift heavier containers(Loaded, 3 Tonne+) one can be organised for a different price. or liability for any damage caused by our vehicles when requested to make delivieries or collections.